Avi Gabbay says AIPAC conference is too close to Israeli elections for him to attend this year. 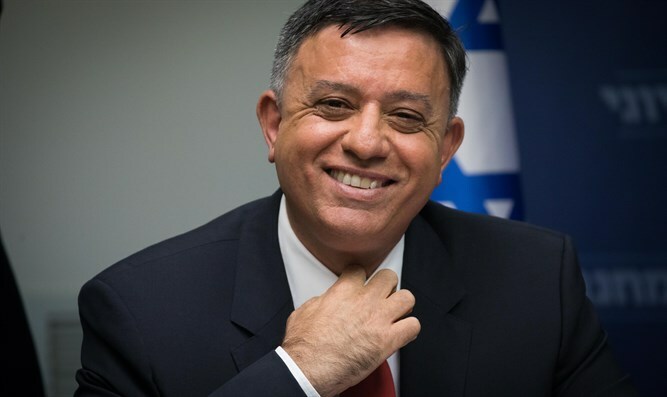 Labor party chairman Avi Gabbay attended a conference at the Gordon Academic College in Haifa Tuesday, where he revealed that he had declined an invitation to address the AIPAC conference in Washington DC later this month. "AIPAC is a very important organization and we share their protest against Netanyahu's move to bring the racist Kahanists into the Knesset." "Last year I came to the AIPAC conference in Washington and spoke to 18,000 people when the focus of my remarks reiterated the Labor Party's commitment to the two-state vision," Gabbay said. "But this year the conference will be held very close to the elections and the elections are held in Israel. I thank AIPAC very much for the invitation, but I have decided to stay in Israel. There will be other representatives of the party, MK Stav Shafir and MK Merav Michaeli, and we will stay here to continue to present to the Israeli public the way and values ​​of the Labor Party." Earlier Tuesday, Blue and White party leader Benny Gantz confirmed that he will deliver a keynote speech at the AIPAC conference on March 25.